Chris was born in Istanbul, Turkey and also lived in Germany, Italy, and Spain up until he was 9 years old. He then grew up in Raleigh, NC and attended Ravenscroft High School where he was a high school All-State basketball selection his senior year. After high school, Chris attended North Carolina State University where he played basketball and became a member of Delta Sigma Phi. 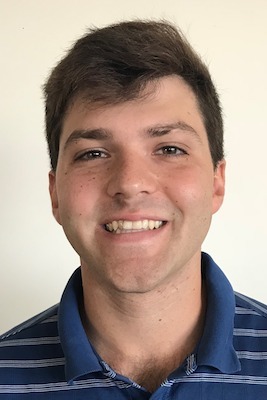 He joined Tryon Title in 2018 shortly after graduating from North Carolina State University. He has been hired as an Sales and Marketing Representative in the Charlotte, North Carolina area. Away from work, Chris has a strong passion for all kinds of sports, with basketball in particular. Chris was the basketball analyst for 247Sports. He was also the radio color analyst for the Wake Forest vs Syracuse men’s basketball ACC tournament game in Brooklyn, NY in March of 2018.